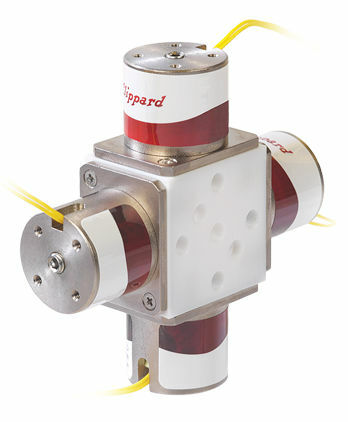 The NIV series gradient valve from Clippard can have several 2-way, normally-closed solenoids connected around its central body. This provides significant reduction in internal volume with enhanced mixing capabilities. Each actuator operates independently, letting the flow of various media be mixed or for one media to be split into several streams. 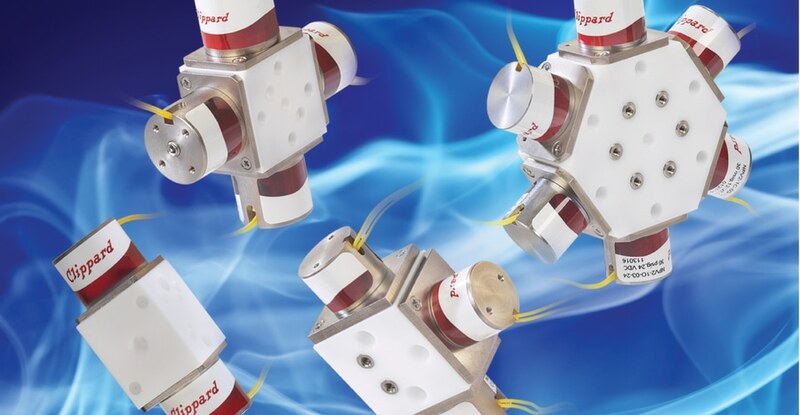 These compact, lightweight multi-channel gradient valves are useful for solvent selection, stream splitting, flushing and other automated applications. 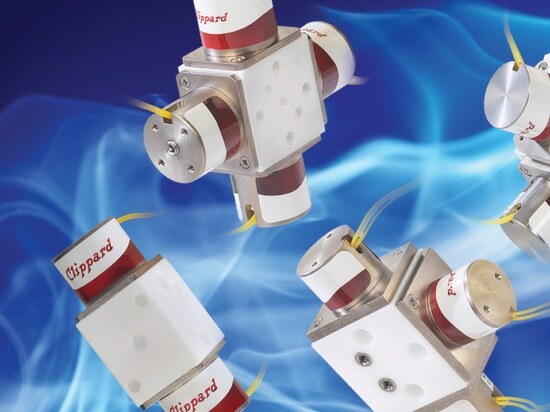 The bidirectional valves feature individually controlled flow paths, low power consumption, minimal dead volume, all wetted areas are PTFE and compatible with corrosive and aggressive fluids, and in operation they have high cycle lives and fast response times. Common industries that use these valves for the benefits of isolating fluid from a mechanical valve include: drug dispensing, laboratory equipment, waste water, medical devices, chemical, food and beverage equipment, ceramic/glass/plastic, and bulk and solids handling.